It is amazing, what much you can do with cannabutter. I’ve baked different types of cakes with melted cannabutter but it appears that the list of confectioneries you can make with it is endless. I stumbled upon this recipe while helping my sister move out of her San Diego apartment last spring. 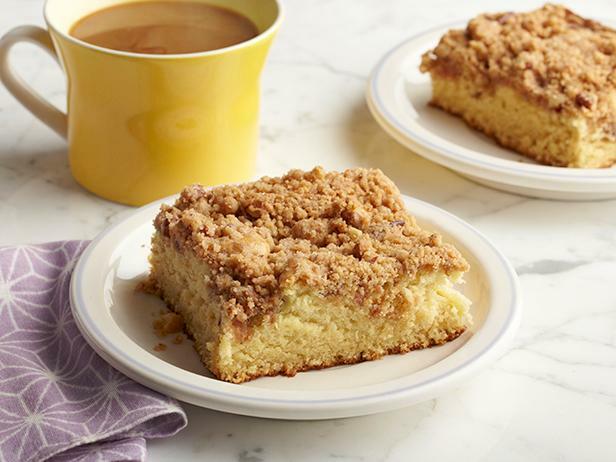 For the family, coffee cakes have always been our favorite classic recipe. It is a ritual at family reunions. But as a seasoned baker who’s always willing to add cannabis to any recipe, I didn’t hesitate to get my creative juice flowing. I added cannabutter to the recipe and just as I thought, the end results couldn’t get better. So, let me share with you, the perfect recipe for making cannabutter coffee cake. Preheat your oven to 375°F for an hour before you start baking. Put 4 tablespoons of sugar, milk, and vegetable shortening in the medium-sized saucepan. Mix them together until the vegetable shortening turns soft. Put one cup of flour in the medium-sized bowl and set aside. Add the yeast, flour and egg to the mixture and beat it with the electric mixer for a minute. Make sure to scrape all the sides as you mix. Continue mixing for up to 5 minutes. After that, stir in the remaining flour until it turns to a flexible though. Grease the round baking pan with the cannabutter and put the dough in it and sprinkle some sugar on top of the dough. As an option, you can also sprinkle the diced almonds on the dough. Cover the top of the baking with a clean, damp cloth to let the dough rise for about an hour then spread melted cannabutter over the risen dough. Continue baking for about for 20 minutes and remove from oven. So that is it…your Cannabutter Coffee cake is ready! Allow it to cool down before cutting into the sizes you want. Serve and enjoy.